 Traveling through quintessential prairie land in the Iowa counties of Franklin, Butler, Bremer and Fayette, the Rolling Prairie Tri-County Trail System connects several small towns and two state parks. Featuring a natural canopy of mature trees as well as some scenic bridges, our route begins in Hansell and travels through to Shell Rock. On the way, the Allison trail head is located just off Highway 3 in Wilder Park. In Clarksville, there is a trail head in Volunteer City Park on the southern edge of the city one block east of Highway 188. Both these trail heads include restrooms, shelter houses and ample parking. The Shell Rock trail head is located one quarter mile north of Highway 3 on County Road T63, but has limited parking and no facilities.